Site Discounted: The site proposed was discounted through the Methodology and Assessment. 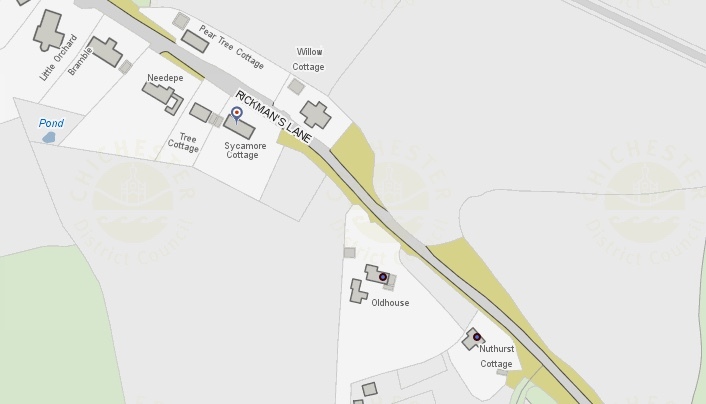 Sycamore Cottages is outside a Settlement Boundary and outside the Plaistow Conservation Area, and is located in the countryside. 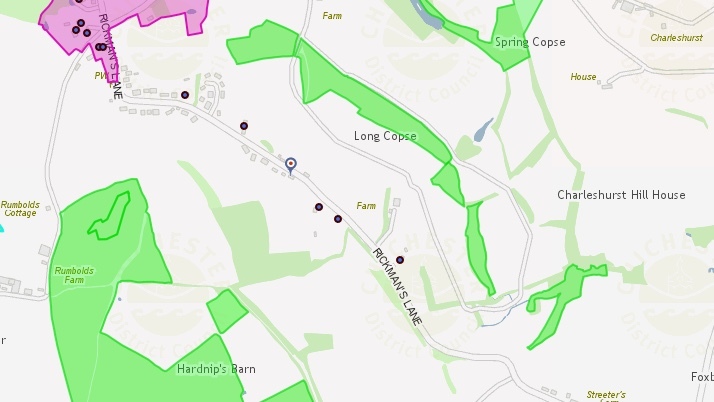 But it is recognised that all sites that have been identified in this Neighbourhood Plan process are outside a Settlement Boundary and in the countryside and therefore all would have some impact were housing development proposed. Sycamore Cottages is a detached 2-storey dwelling built approx. 1985, on the South West side of Rickman’s Lane (the public highway) and is the most South Eastern property in a line of detached dwellings. Buildings in the immediate area are predominantly residential. Sycamore Cottages garden extends to and overlooks the site, which is a field to the rear and alongside. Located on the outskirts of Plaistow village, the site is approximately 700m walking distance to local services and facilities in the centre of Plaistow village which include: a Church, primary school, store with coffee shop, pub, village hall (Winterton Hall – with a Youth Club, a pre-school that has a dedicated outdoor playground, weekly post office services dispensed in the Youth Club – to the rear of the hall – and an outdoor multi-use games area); a village green; a recreation ground with a pavilion (formerly a cricket club) and an outdoor childrens’ playground; and a football club with pavilion. A listed property, Old House (Grade II) is the nearest neighbour with its neighbour, Nuthurst Cottage, also Grade II. The setting of these listed buildings would require careful consideration in any design scheme. 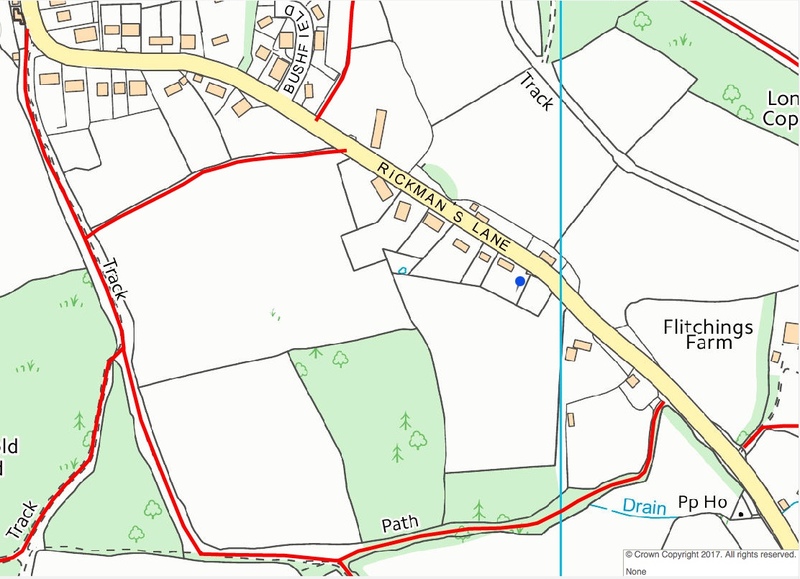 Fidlers Copse (Grade II) is located 220m away towards Plaistow village centre. The public highway, Rickmans Lane, slopes from South East upwards to the North West. 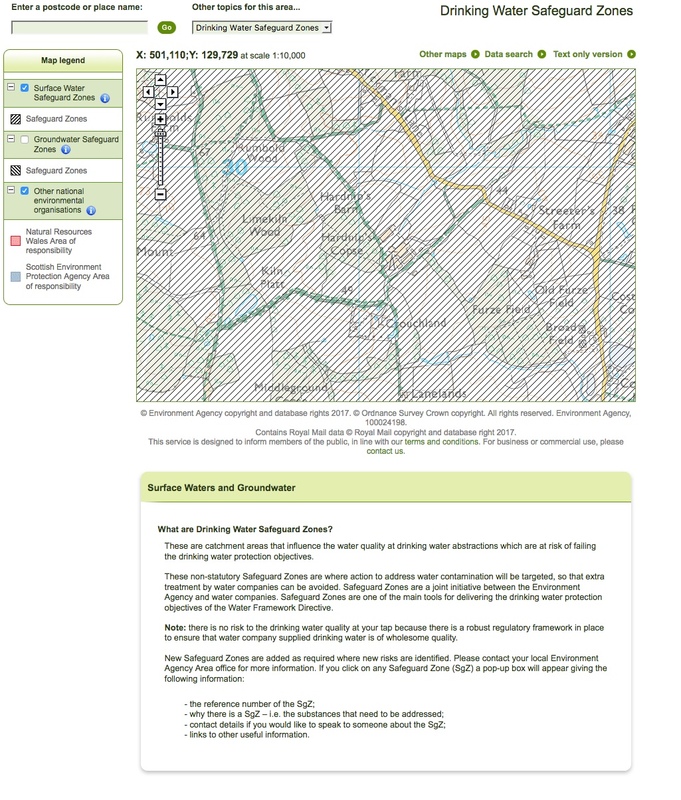 Access to the highway, is into a 30MPH speed zone but very near to the start of a 60MPH speed zone. Mitigation of extending the 30MPH speed zone past the last house on this side of Rickmans Lane (Nuthurst – Grade II) enhancing the sustainability of residential properties by increasing road safety for pedestrians and thus encouraging walking. 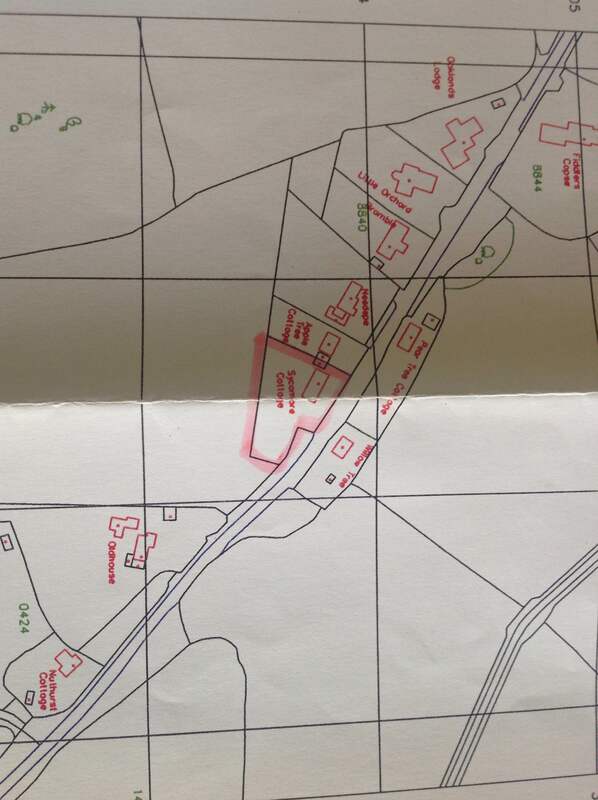 There was concern that additional housing in this location would cause ribbon development but there are two residential properties to the South, located further along the public highway (Rickmans Lane), therefore the site could be considered as Infill development. The Steering Group considered this site and discounted it due to the reasons noted above and that it was lower in hierarchy with other sites more centrally located in Plaistow village and its facilities and services. 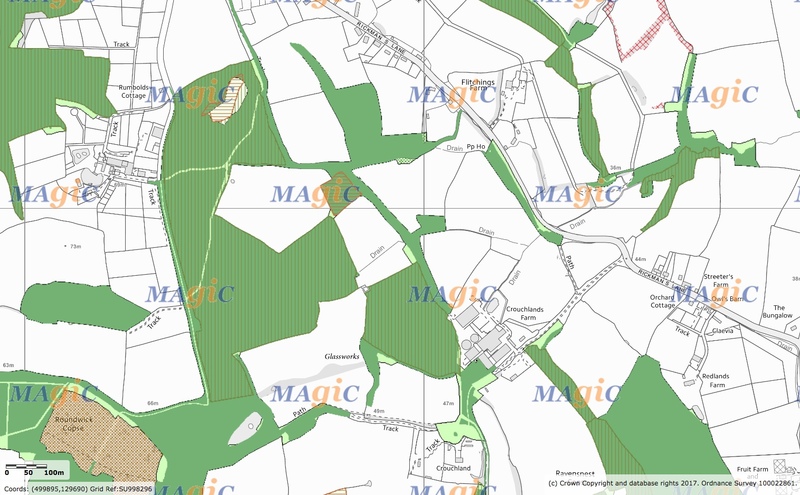 But it is noted that this site is still ranked high in meeting most NPPF sustainability criteria than others that have been identified, including the site noted in the CDC Site Allocations Development Plan Document (SA DPD): Land to the North of Little Springfield Farm, Plaistow Road, Ifold.